Some 14 percent of people in North America have fungal infections, with older people more likely to get them than young people. Unfortunately, anti-fungal nail cream can take up to 12 months to cure an infection, if it is successful at all. Often doctors recommend treatment that softens the nail, allowing for the infection to be scraped off. However, there are also a range of natural treatments you can try. Before we dive into those, let’s quickly look at how you can prevent this problem in the first place. Prevention typically involves basic hygiene, since fungus prefers warm and moist spaces. Keep your feet clean and dry, and change your socks daily. Wear flip-flops in public spaces like the gym, and avoid wearing other people’s shoes or sharing nail clippers. Wear shoes that fit well and allow your feet to breathe. If you visit nail salons, make sure their equipment is sterilized between uses. Dietary changes such as getting enough protein, iron and fatty acids, as well as eating probiotic-rich yogurt, can also help. Beyond the discomfort and the aesthetics, prevention and treatment are vital for stopping the infection from spreading to other toes or fingers, or to other people. If you do have an infection, be sure to check for other symptoms like itching, burning and skin peeling, as these could indicate athlete’s foot. There is anecdotal evidence to suggest that apple cider vinegar can help alleviate fungus, and it has been shown to be an antimicrobial agent. Typically, people trim their nails — an effective alleviation strategy on its own — then soak their toes for around 20 minutes. A good ratio for a vinegar soak is one part vinegar to two parts water. You can add some essential oils (such as those listed below) for extra impact and for a nicer smell. While not technically a natural remedy, Vicks is something that people often have lying around the house, and it is affordable. It also contains some of the essential oils mentioned below, like eucalyptus oil, as well as menthol. You can use a cotton swab to dab the cream on your nail. A small study on Vicks for nail fungus found it had a positive impact (either total or partial clearance) for 83 percent of participants. When using Vicks, be sure to wash and completely dry your nails first, and apply it two to three times per day. Oddly, eucalyptus oil used on its own as a treatment was actually found to have a slightly higher success rate than Vicks — at 86 percent. Tea tree oil, another essential oil from Australia, has powerful antiseptic properties and can be applied directly to the nail. Regular treatment works on 56 percent of people. Don’t ingest tea tree oil, as that is toxic. Olive leaf extract can be used more to prevent an infection from getting worse or to prevent yourself from getting an infection in the first place. Olive leaf extract contains polyphenols, which can help build up the necessary amount of defense. Oleuropein and elenolic acid in this extract give it strong antioxidant and anti-inflammatory properties. Olive leaf extract can also be ingested in capsule form, and when doing so you should try to drink plenty of water. A range of studies have found that coconut oil is great for countering the spread of candida, which illustrates its antifungal properties. In this case, you can cook with it, or ingest it, to counter the toenail fungus, or you can apply it directly to the nail and avoid any impact on cholesterol levels that you get from consumption. An advantage of consumption, on the other hand, is that it can positively affect your whole body — whereas direct application sometimes doesn’t reach the root of the infection, underneath the nail fold. This extract comes from a plant in the sunflower family and has been found to be effective against toenail fungus — as much as prescription medicines like ciclopirox. The study recommends applying the extract every three days to the infected area for the first month, then less and less over the next two months. 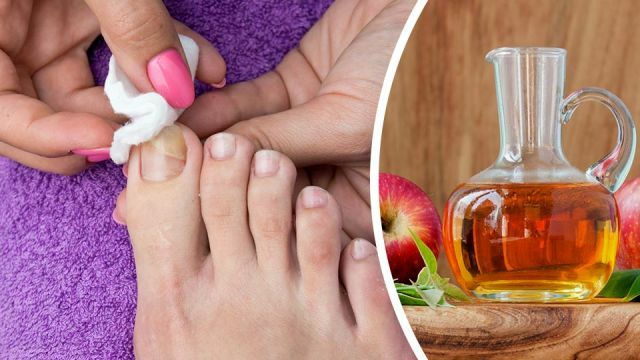 Have you tried any of these natural remedies for toenail infections? Did they work for you? Let us know in the comments! Hey Buddy!, I found this information for you: "7 Natural Remedies To Banish Toenail Fungus". Here is the website link: https://www.thealternativedaily.com/7-natural-remedies-to-banish-toenail-fungus/. Thank you.